Nat King Cole’s timeless L-O-V-E song came to life half a century ago! And it lives on today thanks to radio. Thanks to covers by artists like Michael Bublé. Speaking of which, our Centre was hand picked by a recently wedded couple for its photoshoot! 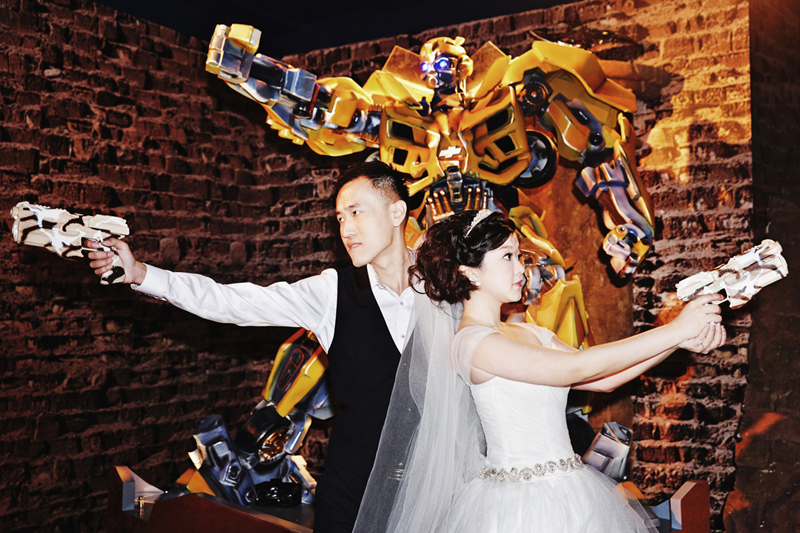 Lovebirds – Jacob (34) and Sufen (30) had a number of action shots taken at our Transformers exhibition! Why is Science Centre an interesting place for you? 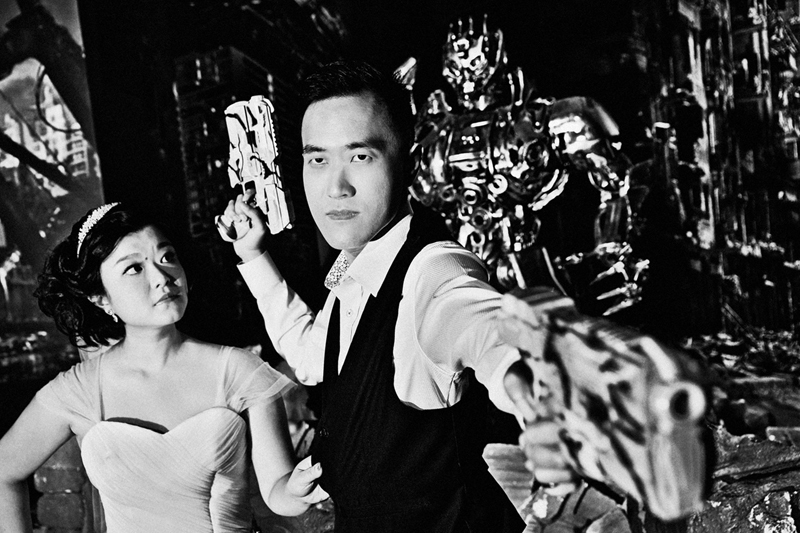 Why choose it for your wedding shoot? If you have kids in future, would you bring them here? For those of you who have yet to check out our Transformers exhibition at Science Centre Singapore, here a video produced by our former interns – Boon Ghim and Ting Yew to whet your appetite! Previous articleHUMAN BODYWhich is the more Emotional Gender? Next articleEVENTSThe iZ Hero Within! Nice wedding photos there! And of course, nice opening with the lyrics from this classic song! Agreed fully! 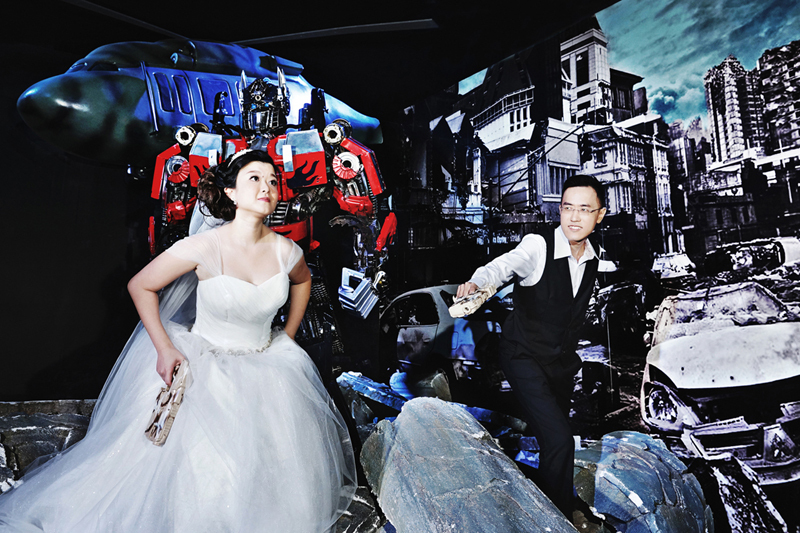 Maybe more couples will consider a trip to Science Centre for a unique wedding photo shoot! A very interesting theme for a wedding shoot, I’ve never quite seen anything like it. The wedding photographer seems splendid. I wish the couple marital bliss!